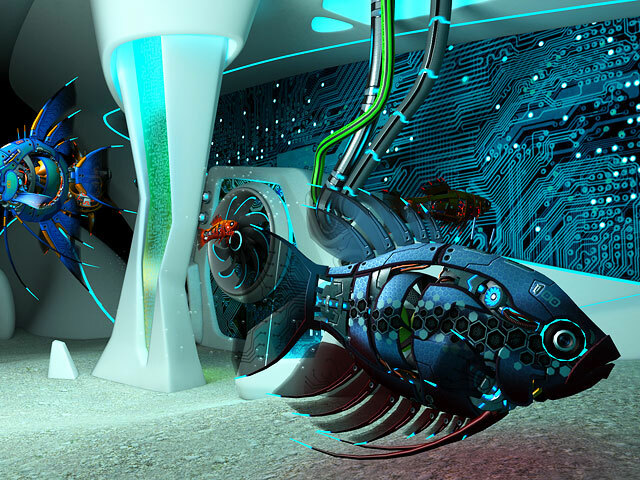 ﻿ CyberFish 3D Screensaver – Take a glance into the futuristic world of artificial cyber fish. We often dub the XXI century Digital Era, and there is not a bit of exaggeration in that. Today it is completely impossible to name any sphere where electronics has not been successfully used. In the wink of an eye, the tiny digital guys – microchips – manage to do the most difficult calculations, which are beyond human ability. The art was always regarded as a very conservative area that could hardly become the subject of electronics invasion. However, in a short while, the situation changed completely and rapidly. Without a good knowledge of graphics software, the painters have no chance of becoming a success today. A few decades ago, we could hardly fancy that the digital technologies would be used in sculpture but nowadays this branch of art is littered with the works enriched with the elements of technoculture. So we should conclude that electronics has spread everywhere in the modern world. The designers of the popular Cyberfish screensaver for Windows decided to keep pace with the times. 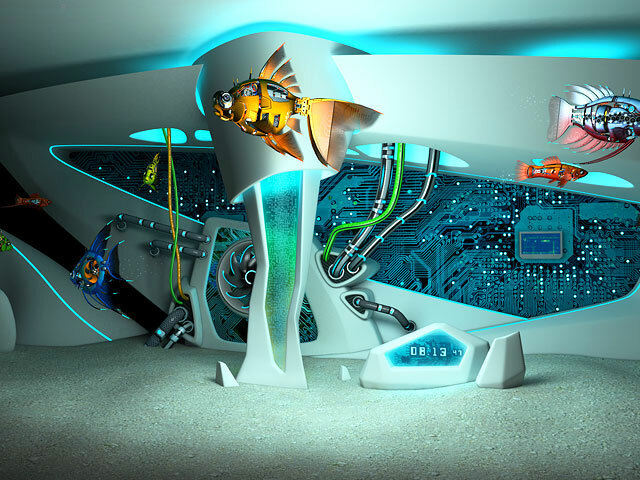 Their futuristic aquarium has already gained a huge popularity. Lots of fans are admiring the queer-shaped digital fishes that represent the modern trend in the culture and the next step towards the cybernetic era. 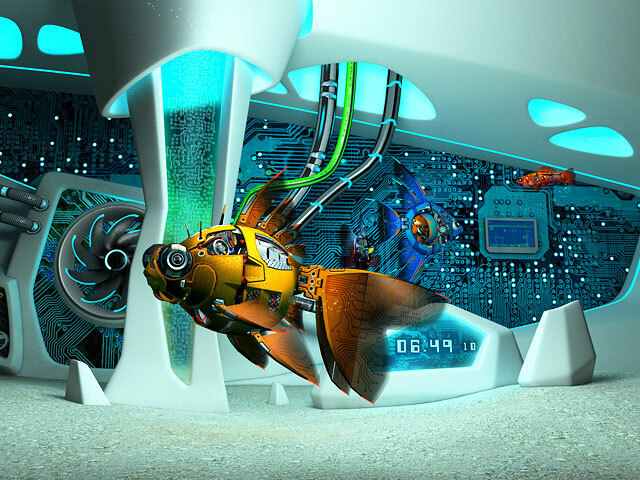 Even if you are not a keen amateur of the modern digital culture you will find the Cyberfish 3D screensaver quite amusing. Installing it on your computer or laptop you will have a great pleasure of watching easy movements of the amazing water creatures. Though they don’t have much in common with ordinary fishes in a real aquarium, they help us to dip in a philosophical mood and muse about the volatility of life, fancying how the world will look like in the next future decades. For the true anglers, the screensaver will remind of the upcoming weekend and the real treat of casting their spinning rods or carp fishing rods in the real river and enjoying their restful thoughts and beautiful nature.